When I thru-hike long-distance paths, I almost always experience solitude, beauty, and challenge, the three things that have me returning to the wilderness year after year. But everything—even long-distance hiking—can get boring. 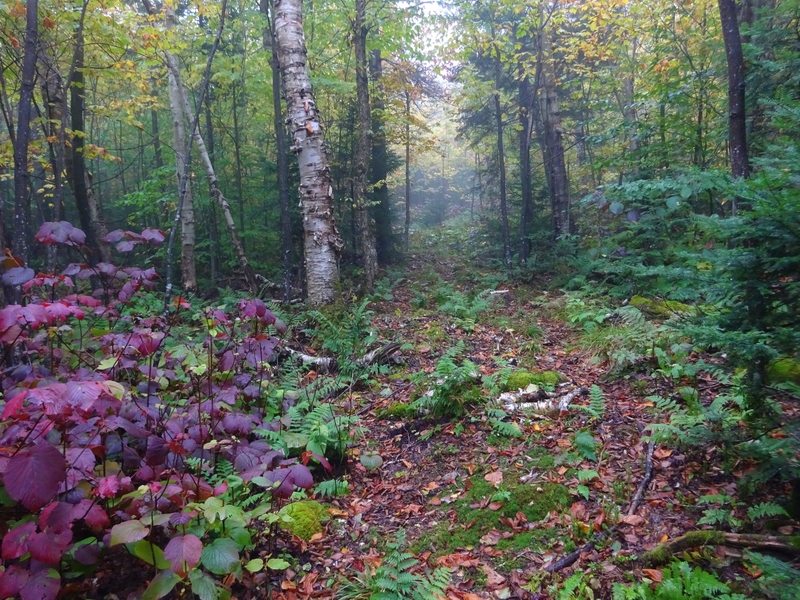 With enough hiking, all forests can kind of look the same, all campsites can kind of seem to be arranged the same, and all mud can even kind of squish the same. Though you may eventually want to take a break from the humdrum of long-distance hiking, take comfort knowing that the “long-distance” moniker need not disappear. Long-distance running, long-distance cycling, long-distance skiing, long-distance whatever-you-want awaits you, for the mode is only limited by your imagination. 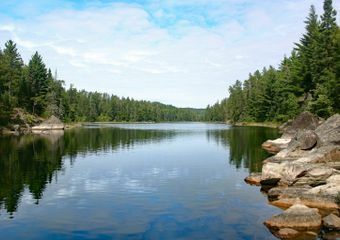 After a few thousand miles’ worth of hiking I imagined paddling my canoe across a series of lakes or down rivers, and in 2010 it was time to stop daydreaming. That year I paddled the 460-mile Susquehanna River from source-to-sea in little more than two weeks, and the following year I paddled the 360-mile Delaware River from source-to-sea in little less than two weeks. Across the flat-water sections I grunted, around the rapids and dams I portaged, and on the shorelines and islands I camped. And, boy, did I have a good time. Maybe you’ll have a good time, too, going the distance with a paddle in your hands instead of trail runners on your feet. First you’ll need to know the basics regarding boat, gear, dangers, and planning. Some paddlers prefer sea kayaks while others prefer canoes; I am a canoe man. I’ve paddled both on overnight trips, and I find canoes vastly superior due to their ability to hold gear. Kayaks have hatches—holes about a foot wide on top of their decking. To store gear you pop open a hatch, cram your gear in, and close the hatch. Now your gear is stored in the bulkhead of the boat, protected by the waterproof hatch and the boat’s frame itself. This storage system works OK until it’s time to portage your boat. You see, it’s nearly impossible to portage a kayak whose interior is full of gear. 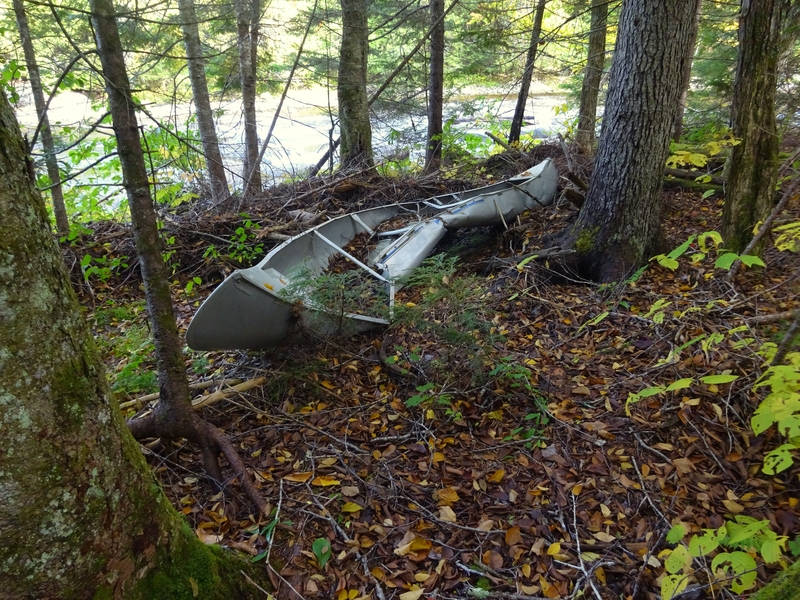 So, for each portage you have to empty the bulkhead, carry boat and gear separately, and then repack all that gear at the end of the portage. To be fair, you usually have to do the same thing with a canoe, but with a canoe the loading and unloading is infinitely simpler. With kayaks you have to deal with out-of-sight gear crammed through a foot-wide hatch. With canoes, all your gear is plainly visible and easy to access. Plus your gear can be of any dimensions since there are no pesky hatches to deal with. Now you can tackle a portage via one trip, carrying one large dry bag on your back, your canoe on a shoulder. 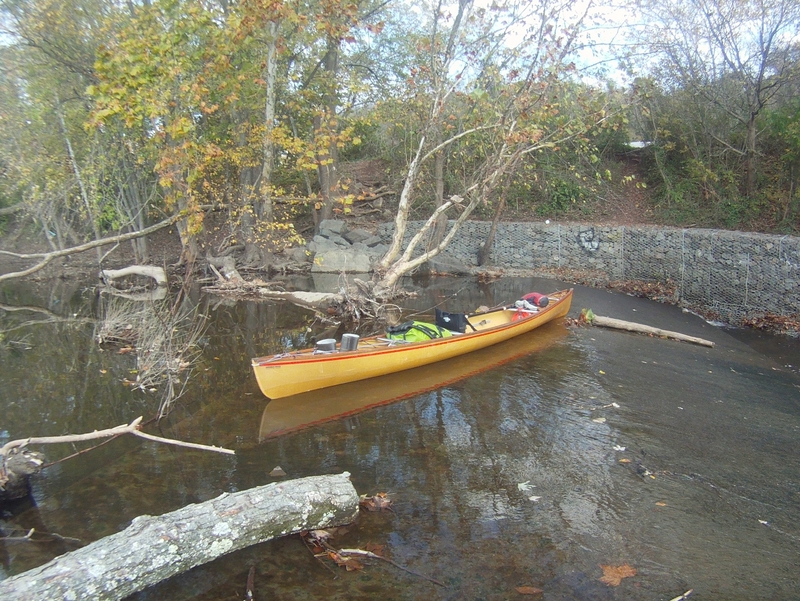 If you’re canoeing solo, it cannot be recommended strongly enough to find a canoe in which you use a double-blade kayak paddle as opposed to a traditional single-blade canoe paddle. Using a single-blade paddle is like pedaling a bicycle with only one foot. A boat propelled with a double-blade paddle is fast. A case in point: On both the above river trips, there were times when I happened to be paddling along a shoreline, and above me were joggers running down pathways that follow the rivers. I easily outdistanced them. Three companies that offer such boats where I paddle—the Adirondack Mountains of New York—include Hornbeck Boats, Adirondack Canoe Company, and Placid Boat Works. Other companies across the US offer such canoes. Chose a boat at least 16 feet long, which will be made of Kevlar or carbon fiber, weigh about 30 pounds, and cost around $2,700. Use all your long-distance hiking gear: headlamp, stove, sleeping bag, sleeping pad, shelter, etc. 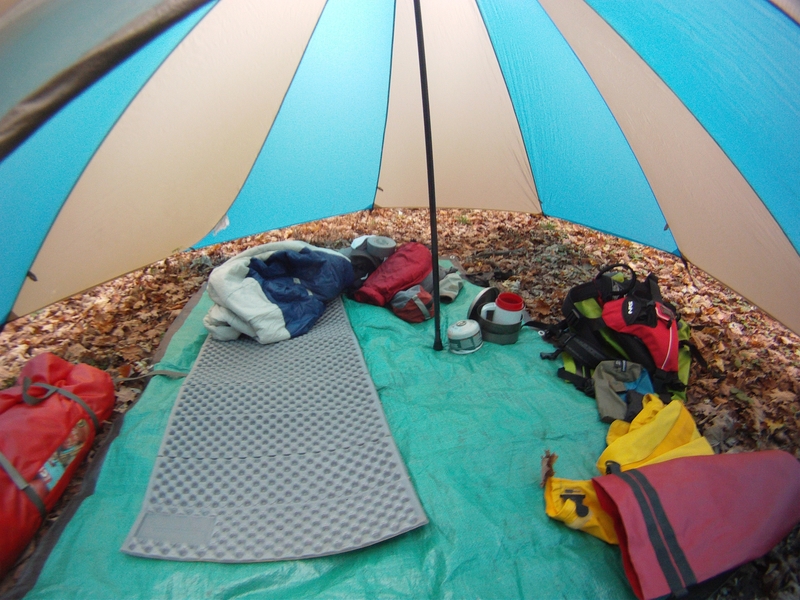 Two pieces of backpacking gear worth replacing are rain gear and pack. You don’t want to be wearing Gore-Tex and other synthetics if you encounter saltwater because saltwater is caustic to such gear, and you don’t need the breathability anyway. I use a heavy-duty rubberized rain jacket and heavy-duty rubberized rain bibs from Cabela’s. When you purchase such rain gear, think, “Would this survive a season of Deadliest Catch?” not “Is this good for lightweight backpacking?” Chances are good your backpack isn’t big enough, and surely it’s not submersible. Replace with a roll-down-top dry bag of about 4,500 cubic inches. 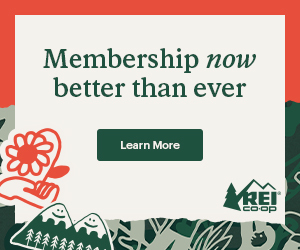 The only additional pieces of gear you’ll need are a roll of duct tape for boat repairs and a comfortable, high-quality personal flotation device that you promise to wear. 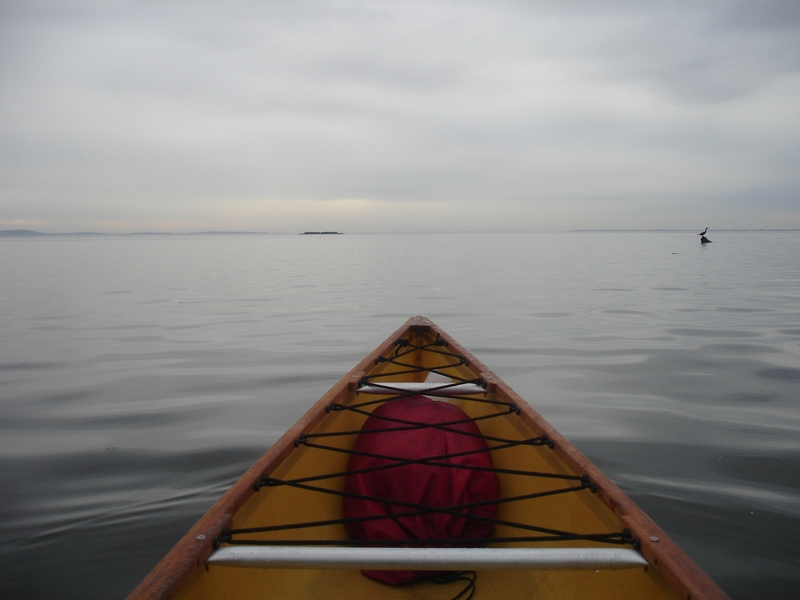 Long-distance paddling demands the most talent and conscientiousness of any outdoor activity I’ve tried (well, besides nighttime parachuting). To put this into simple perspective, paddling is the only outdoor activity I don’t do at night. On canoe trips I’ve had to contend with wakes, rapids, winds, floods, and tides that tossed my boat around like an oversized matchstick, giving me nervous, queasy feelings and demanding impromptu dashes to shorelines. By comparison, in long-distance hiking deaths are exceptionally rare, and an example of a big mistake is forgetting your spoon. Before you take on a long-distance paddling trip, learn how to swim, anticipate river obstacles, empty and right a swamped boat, and paddle well. One of the appeals of long-distance trips on the water is that most routes and rivers don’t have corresponding maps, websites, trail clubs, and guidebooks to guide us. Instead, it’s time to design your route, pack your gear, and strike out, à la Lewis and Clark, to points unknown (at least to you). I used all my long-distance trekking skills to navigate thousands of miles’ of waterways, yet learned that a few special considerations must be made. 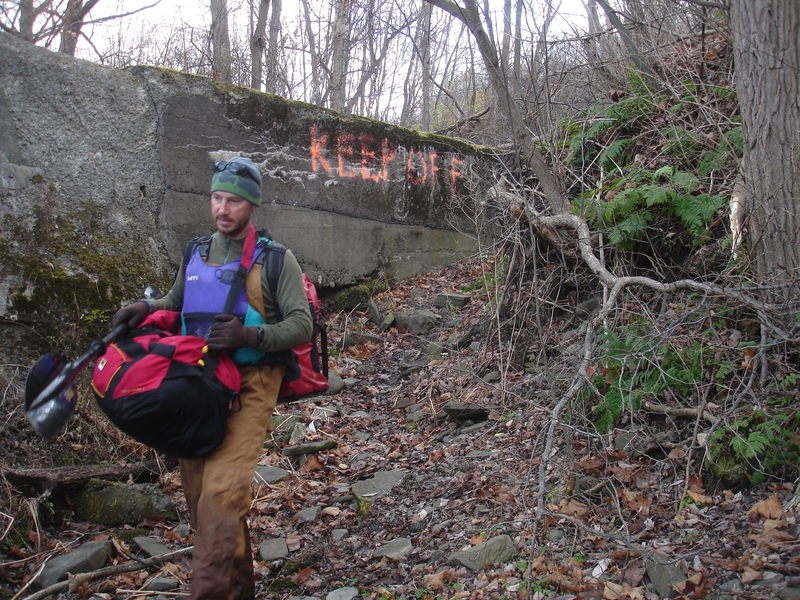 One, it will not be easy to resupply because you have to leave your boat to walk into town. 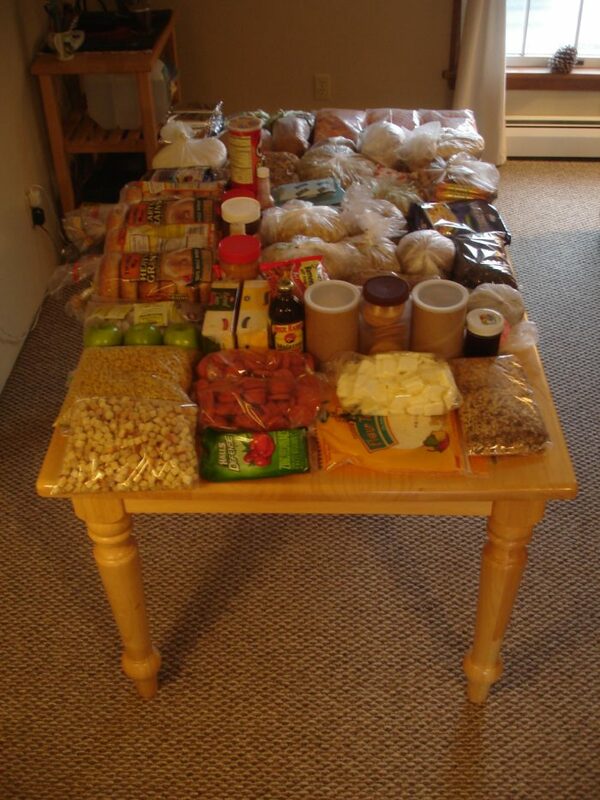 It’s best to abandon the idea of resupplying altogether, at least on trips lasting up to two weeks. Two, a nod to the English poet Samuel Taylor Coleridge: “Water, water, every where, nor any drop to drink.” Regarding water sources for hikers, it’s up to the hiker to decide whether or not they want to treat their water. I never treat backcountry water. 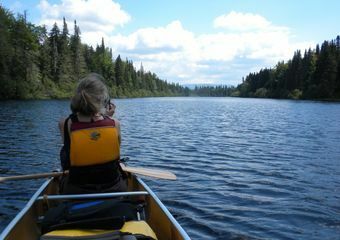 If you paddle in real wilderness, the water’s likely just fine. On the other hand, I wouldn’t drink from a major river, even if that water was treated. Plan on carrying about three gallons of water, which will last one person about three days. Water resupply is fairly easy since most shoreline marinas and restaurants will not hesitate giving free refills to paddlers. Three, most rivers have massive hydroelectric and flood control projects that disrupt a paddler’s course. For example, on the Susquehanna River one will find Maryland’s 100-foot-tall, 4,600-foot-long Conowingo Dam. 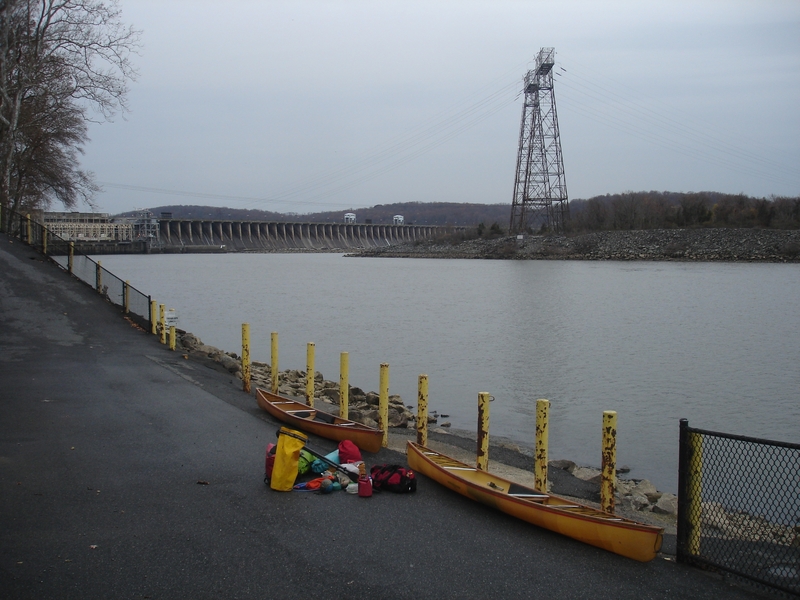 This imposing barrier and its accompanying facilities are so extensive that paddlers must arrange for transportation around this dam with its operators, the Susquehanna Electric Company. Overall, the 460-mile Susquehanna River has 12 dams and 14 portages, while the 360-mile Delaware River has six dams and eight portages. Other long rivers have similar rates of obstacles. Four, if you paddle a river affected by tides, you’ll have to access a tide schedule, or, like I tend to do, you’ll have to notice when tides come in and go out. Roughly speaking, there are about two in-tides (high tides) and about two out-tides (low tides) about every 24 hours. Learn your area’s tide cycles because there is no sense in trying to paddle against a tide. 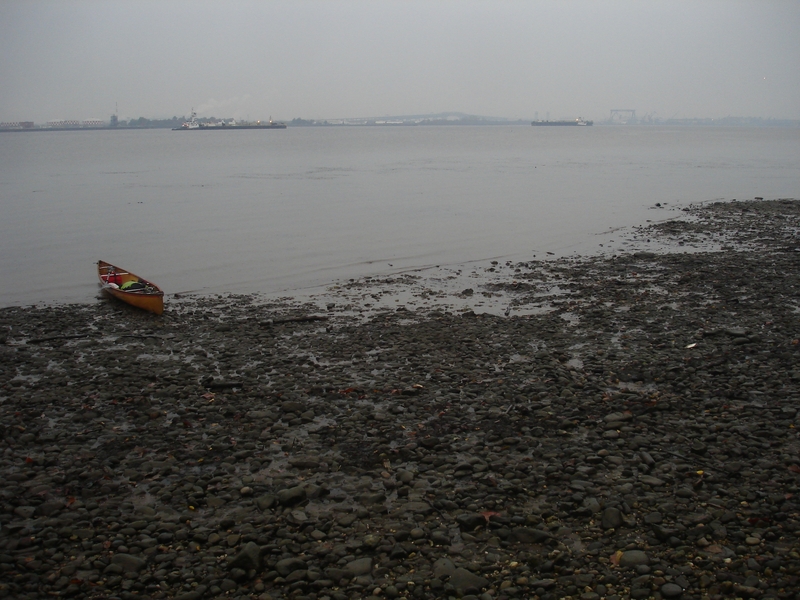 Tides can carry more than 100 miles up some rivers. For example, I live within sight of New York’s 315-mile Hudson River at Albany, which is 150 miles from the mouth of this river in New York City. The tide at Albany is swift and five feet deep. When the forests start looking the same, and the campsites start seeming to be arranged the same, and the mud starts squishing the same, remember that hiking is only one mode of travel to see the natural world you so love. Perhaps it is time to get your feet wet.